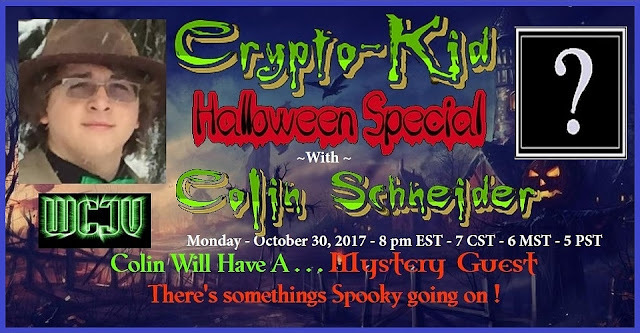 Tonight on the Crypto-Kid, Colin will be joined by a mystery, fan favorite guest to discuss popular Halloween monsters and the folklore behind them. This is going to be a fantastic, not to miss episode. It was quite a momentous weekend in many ways, mainly because I was severe to myself about what I ate and drank, and liaised with our brilliant young social media guru Louis, for a mammoth session of setting up the Patreon page for On The Track. We sorely need some new equipment (both hardware and software) and - although I, personally won't be paid a penny - I want to slip a few quid to Charlotte, who works awfully hard on the show. We hope to be going live next Monday. I don't know what it tells you about the calibre of people on my Facebook friends list, but when I posted a link http://tinyurl.com/yau3qh7z to a spoof of 1980s kid's TV which I found on Twitter posted by a friend of Biffo's, nobody laughed and only one person pressed "Like", even though I thought it was excruciatingly funny. However, a picture of me and Ian Simmons from an old Unconvention, got eight likes. 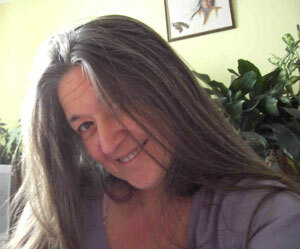 Now't as strange as folk. Maybe five children with Hitler moustaches and a stupid, lavatorial caption, just don't impress people any more. Tonight at Midnight GMT I am on Colin Schneider's Crypto Kid Radio show. Check out the details from the show's Facebook page later on today. ON THIS DAY IN - 1817 - The independent government of Venezuela was established by Simon Bolivar. ON THIS DAY IN - 1618 - Sir Walter Raleigh was beheaded under a sentence that had been brought against him 15 years earlier for conspiracy against King James I.
CRYPTOLINK: A MYSTERIOUS finned creature has been filmed lurking in the Thames. Another Night, Another Photo. Bigfoot? B.C. sasquatch researcher Todd Standing is suing the B.C. government in an effort to prove Bigfoot exists. Todd Standing submitted / PNG. For those interested in conspiracy theories, the JFK assassination files which have been released recently may be accessed at this link. Last week, my friend, colleague and regularly Gonzo weekly contributor Mr Biffo released his 17 minute epic movie The Trojan Arse Project, Project, https://www.youtube.com/watch?v=AegZz2NxjOc which is the tumultuous climax to his massively entertaining, and highly recommended, webTV show, Mr Biffo’s Found Footage. It wasn’t quite as good as episode 4 (which had me in it), if only for one reason (it didn’t have me in it) and millions mourned. But it was hugely entertaining, and amongst other things put me in the mood to stretch my cinematic wings a little further than they had ever been stretched before. Some years ago, I invested the takings from a particularly successful Weird Weekend in a large, professional green screen set up, so that I could use it on CFZ videos. And, embarrassingly, apart from a stupid video featuring Graham as David Cameron, and a pair of dancing badgers, I have never used it. But this week, all that changed! I am really getting quite ambitious with our monthly webTV show. And, this week, I finally ended up using the green screen in an elaborate sequence which we filmed last Wednesday afternoon, and which will be the opening sequence to the November episode of On The Track. We are making a conscious effort to make the production values on this new series as good as we possibly can, partly so we can be seen as real contenders in the global media marketplace, and partly for our own satisfaction. Sadly, my beautiful garden looks like something like the aftermath of the battle of the Somme as a result of heavy rain, scratting chickens, falling leaves, and the large dog that looks like a pigmy hippo galumphing around the place, but as you can see from these pictures, it makes a perfect film set for my cinematographic ambitions. We meet the legendary Judge Smith and talk about his new film, The Garden of Fifi Chamoix, and still in a horticultural mood Alan visits an Apples and Art exhibit which sounds cracking fun. 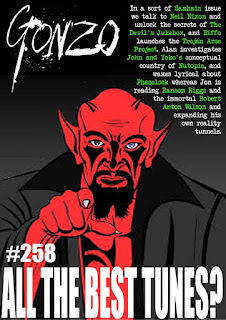 Richard presents the second part of his critique of Steve Kimock, Jon muses about Cat Stevens and Liam Gallagher, and Biffo causes ructions in the Lord of the Rings gaming community. And there are radio shows from Mack Maloney, Canterbury sans Frontieres and Friday Night Progressive. Strange Fruit, is taking a week off, but will be back soon. We also have columns from all sorts of folk including Roy Weard, C J Stone, Mr Biffo, Neil Nixon and the irrepressible Corinna. There is also a collection of more news, reviews, views, interviews and southern dibblers who have books to peruse (OK, nothing to do with small marsupials who have been to the library, but I got carried away with things that rhymed with OOOOS) than you can shake a stick at. And the best part is IT's ABSOLUTELY FREE!!! ON THIS DAY IN - 1659 - William Robinson and Marmaduke Stevenson became the first Quakers to be executed in America. 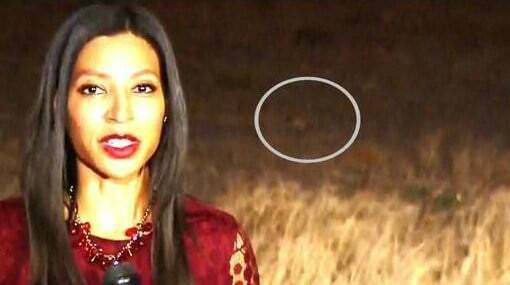 SAN DIEGO (NEWS 8) — After our 6:30 p.m. newscast Sunday night, we got reports from viewers that there was a mysterious animal in the background of a live shot in Hollenbeck Canyon. News 8's Heather Hope went back to the trail in Jamul on Monday to share what she learned from animal experts since then. "I have to look at this very closely," said San Diego City College professor John Malinky. Take a close look in the background of the live shot on the trail at Hollenbeck Canyon Wildlife Area and you may see something. All appears normal until something lurks in the brush that viewers noticed. "It looks to me like it's walking on four legs," said Malinky. Professor Malinky weighed in with his City College geology class at Mission Trails Regional Park. 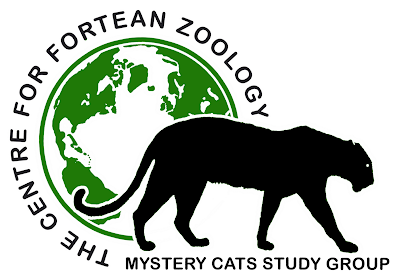 "[It] kind of looks like a coyote," said student Natalie Myking. "It looks like it's hunting for something for sure." Yesterday I wrote about TV coverage of The American Grand Prix in Austin, Texas, last Sunday, when a huge, bird-shaped shadow was cast over the race track. Graham Inglis suggested: "It seems the phenomenon was observed on the original live coverage. Could it have been a 'green screen' overlay added by the tv coverage team, for reasons of a publicity stunt?" And guess what kiddies? That's exactly what it was. However, we would not have been doing our job had we not looked into it.